By Meghan Holohan - We?ve all been there. There?s extra weight around the belly and it seems like the additional 10 pounds of padding won?t budge despite diet and workout. 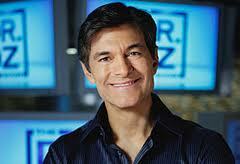 Dr. Mehmet Oz, M.D. told TODAY that events such as stress, the slowing of metabolism of middle age, and hormone changes after having a baby are three reasons why many people see the numbers on the scale going up. And, he shared a few tips to help shed those pounds. ?These are the three main conditions. If you find yourself with these problems you can?t go through individual weight gain,? he explained on TODAY. Cora Porter is a perfect example. As she dealt with the stress from the aftermath of Hurricane Sandy, the holidays, and her husband?s hectic work and travel schedule, she noticed she ate when things felt overwhelming. Oz says that Porter?s story is all too predictable. ?You just told the story of weight gain in America, the number one cause is stress,? he said. Stress changes the body?s hormones and can also impact the ability to eat proper amounts of food, both of which can add to the waistline. And it ruins a good night?s rest, also contributing to weight gain. To avoid stress eating, Oz recommended that people learn to recognize toxic hunger, the body?s false feeling of emptiness. When a hunger pang strikes, Oz said to avoid eating for five minutes. If the hunger subsides, it means the body wasn?t really in need of food. Real hunger will be accompanied by salivation, which in turns helps people enjoy the food they are eating. Stress eaters rarely taste what they are eating. While stress is a leading cause of weight gain, aging can also add extra pounds. Lillian Lee noticed that over the past eight years, she gained about 10 pounds that she can?t lose. Sadly, this happens to everyone as they age?the body?s metabolism stalls, says Oz, adding thatwhen it comes to midlife weight, structured diets help. He suggested a diet including a breakfast of about 300 calories, a lunch of 400 calories, and a dinner of 500 calories. Women struggling to lose the baby weight face different challenges. Keisha Ajyei gained 80 pounds after having two babies 11 months apart. While she lost most of the baby weight, she still has that nagging 10 pounds she hopes to drop. ?The baby weight gain, in particular, it's driven by hormones and when you have this growling in your stomach, you have to have snacks,? Oz told TODAY. In addition to following the 1,200-calorie diet he recommended for Lee, he says that women trying to lose the baby weight should add three snacks of either 75 or 100 calories. In total, the snacking calories should amount to 250 calories a day. Having several low-calorie snacks per day helps women lose the baby fat because it calms the hormone causing the tummy to act up and growl. And it gives them an extra boost of energy to get through the day.